You can support Harvest Home by shopping at any of the below retail outlets. A portion of the proceeds will benefit our lifesaving work, rescuing and caring for animals. Harvest Home Animal Sanctuary supporters can now order super high quality hay, pellets, and other products for their animals from Small Pet Select, and if you use our rescue code (harvesthome), 15% of your purchase price will be donated to Harvest Home. To order, go to https://shop.smallpetselect.com/ and enter harvesthome. In addition, you get free shipping with this! Are you searching for an eco-friendly fertilizer for your home garden? Harvest Home Animal Sanctuary can help. We are happy to offer raw rabbit and chicken manure materials to local gardeners. 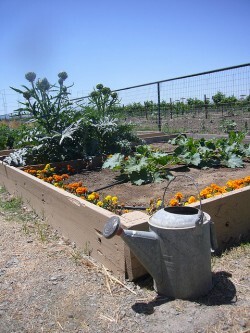 Our manure is rich in nutrients to help your fruits and vegetables grow. In the coming months, we will also have composted chicken manure available. For more information, please email Harvest Home or call (209) 244-7174. Harvest Home Animal Sanctuary supporters can now order checks with the Harvest Home logo, and, if you like, a photo of your own pet. Funds raised will go directly to support our organization. To order, go to PetChecks and enter Harvest Home Animal Sanctuary as the organization and CA 31DL5/608 as the organizational code. Binky Bunny sells amazing toys and stuff for rabbits! Visit Binky Bunny through this link and make a purchase, and 7% of your purchase will be donated to Harvest Home. Once you are registered, every time you shop with Binky Bunny, from any web link, Harvest Home will receive a 7% donation from every purchase. Register with iGive, and when you shop online, a percentage of each purchase you make goes to Harvest Home! Shop Smile.Amazon.com and enter “Harvest Home Animal Sanctuary” as your selected charity a percentage of each purchase you make goes to Harvest Home! And don’t forget–when you are shopping for yourself at Amazon, buy a little something for Harvest Home as well buy grabbing something for us on our wish list!